Discover the rich history and rugged beauty of Mallorca’s southeastern coast on this 45-minute rigid-inflatable boat tour from Cala Figuera. The nimble vessel allows you to cruise close to sea cliffs, old smuggler’s hideout caves and ancient rock formations like the iconic arch of Es Pontàs. 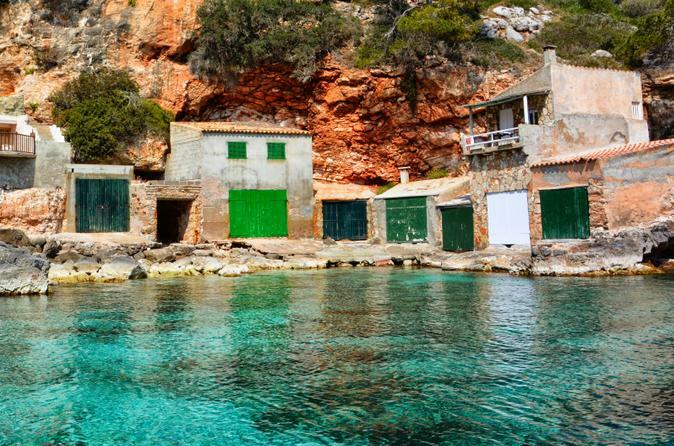 See traditional fishing huts and the pristine beach of Cala Llombards, and watch fishermen bring in their daily catch back at the Cala Figuera harbor. The duration of the tours are approximate, the exact duration will depend on the time of day and sea conditions.